Preview images for the Jane the Virgin episode "Chapter Fifty-One"
The CW has released some preview images for “Chapter Fifty-One” of Jane the Virgin. In the new episode airing on November 28, when Alba (Ivonne Coll) makes Jane (Gina Rodriguez) feel guilty for not attending church, Jane decides she wants to bring Mateo against Rafael’s (Justin Baldoni) wishes. Rafael unlocks a long lost memory of him and his mother, which could be a clue in the Mutter case. Rogelio (Jamie Camil) hires a matchmaker to help him get over Xo (Andrea Navedo.) Meanwhile, Jane’s cousin is starting to wear out her welcome. Yael Grobglas and Brett Dier also star. Gina Lamar directed the episode written by Sarah Goldfinger & Jessica O’Toole & Amy Rardin. You can see some preview images below. 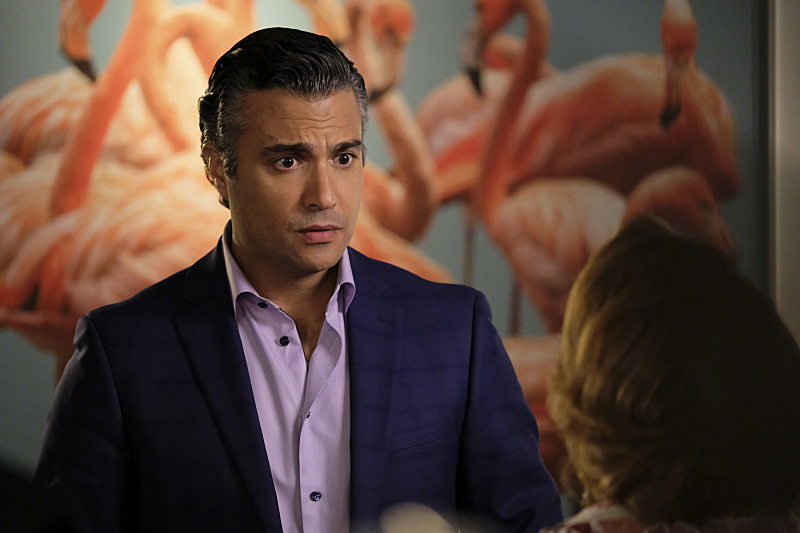 Jane The Virgin -- "Chapter Fifty-One" -- Image Number: JTV307a_0066b.jpg -- Pictured: Jaime Camil as Rogelio -- Photo: Scott Everett White/The CW -- ÃÂ© 2016 The CW Network, LLC. All rights reserved.